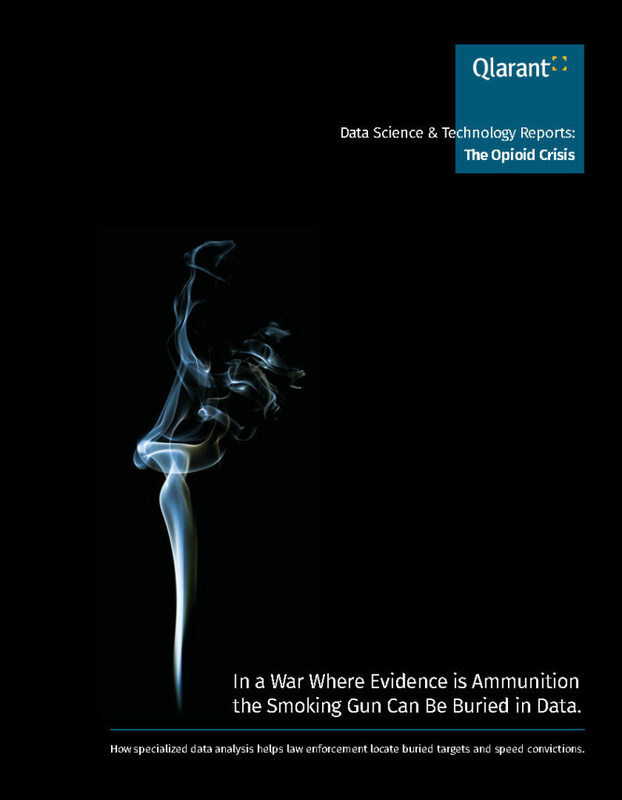 In a war where evidence is ammunition, the smoking gun can be buried in data. How specialized data analysis helps law enforcement locate buried targets and speed convictions in the opioid crisis. One of the most successful initiatives pursued by the USAO is also the one with significant additional potential: The application of data and data analysis for identifying trends and targets, and for solidifying case evidence for more convictions. This report demonstrates how specialized data solutions can yield significant real-world results. If data are the building blocks of evidence, then your resources for data analysis are likely to play a decisive role in your success at trial. When it’s time to select a data team partner, it’s time to talk to Qlarant.